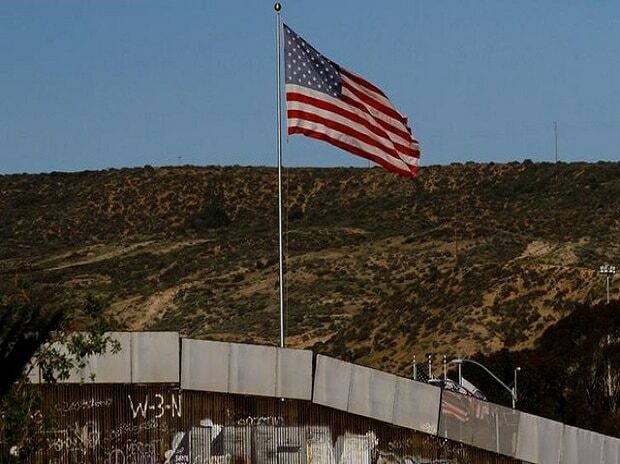 The arrest of Indians trying to sneak into America has dropped by a whopping 56 per cent due to the construction of a concrete wall along the US-Mexico border in California, a top official has told President Donald Trump. The Trump administration is building a wall along the southern Mexico border to prevent the influx of illegal immigrants into the country. Felix Chavez, Chief Patrol Agent of the Del Rio Sector, told Trump during a round-table in California on Friday that the border wall in his sector was constructed in eight months from February to October. The President visited the Del Rio Sector to have a first- hand inspection of the wall. Chavez said illegal entries decreased by 75 per cent. "As soon as it was completed, we started measuring and we started monitoring its effectiveness. So for the first quarter of FY19, we have had many, many efficiencies noted. "Central American people that used to get arrested right through that area decreased by 86 per cent. India nationals -- this sector was leading the country with India national apprehensions for like two or three years. The wall goes up; it drops by 56 per cent," Chavez said. He said that for border patrol agents, a border wall system works. "The use of force incidents -- which are more important to me than anything because it's assaults and incidents that directly affect our border patrol agents doing the job on the border -- they dropped by 65 per cent in those two miles of 30-foot border wall. So the border wall works for us. "We need the border barrier. We need to provide the requirements that meet our need. In this case, for us, it's 30 feet high. That's what we ask for and that's what was provided," the top US official said. Trump said he expect to have close to 400 miles (643 kms) of border wall within about two years. "That's a lot. Four hundred miles will cover most of it," he said. Asserting that there is indeed an emergency on the southern border, Trump said the United States had more than 70,000 illegal migrants rush its border. "They rush our border. And we have military and these are great military people. These are people that are strong and solid and love our country. But they can't act the way they would under other conditions and there's not a lot they can do, but they've been doing it anyway. And we're going to bring up some more military," he said. He said that the walls have resulted in a decline in illegal immigrants. In February, Trump declared national emergency to unlock billions of dollars of federal money to construct the wall along the US-Mexico border, saying the move was essential to prevent America from the invasion of illegal immigrants.